From the non-stop late night parties, chaos filled streets full of tattooed rock fans in band shirts, denim and leather, hot girls in spandex, teased hair and endless oceans of booze and parties, there's no question why in 1988 Guns n Roses we're dubbed “The Most Dangerous Band in The World!" the gasoline for the high octane music that left everyone wanting more and more. Fans craving raw rock and roll and an authentic Guns N Roses experience won't be disappointed by Hollywood Roses' exciting energetic and, incredibly realistic performance. There is no smoke and mirrors in the live show, which includes all the hits, as well as the fan favorites. 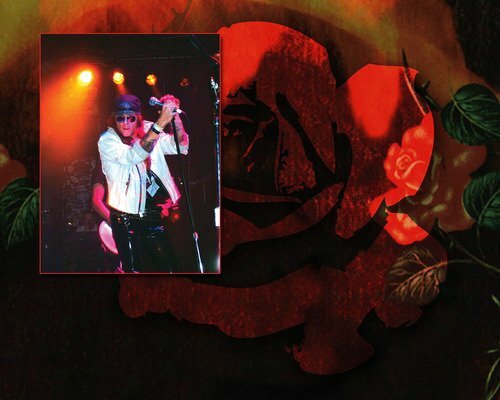 “Straight Out of the Gutter” from the Sunset Strip –Colby Veil channels an untamed, raw energy that once was the power that gave Axl Rose the ability to make his own rules and be as unpredictable and chaotic in all his actions that put Guns n Roses in a category of its own. The band also includes “Robo” who can channel not only the sound that is so unique to Rock Legend Slash, but truly channels the energy as well so audiences worldwide are taken back to when Guns n' Roses stalked the Sunset Strip. "Ashes" straight off the Static X tour joined Hollywood Roses in 2012 on rhythm guitar and is exactly what Izzy Stradlin would want to see. Leo Cuevas rocks the bass and becomes Duff, hands down, and Justin Sandler is the perfect heavy hitting drummer whose performance is nothing less than an energetic cocktail of Steven Adler, Matt Sorum with a twist of excitement that truly completes Hollywood Roses. The spot-on performance can only be described as a virtual time machine that makes the audience crave more. 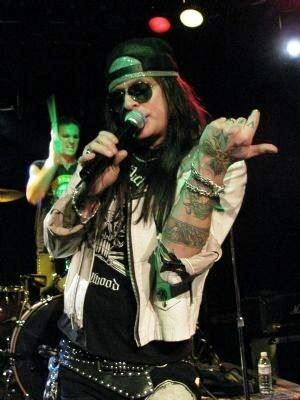 In 2007, Colby Veil was hand-picked by Guns N Roses original drummer Steven Adler to lead Adler's Appetite for the 20th Anniversary of Appetite for Destruction. The tour kicked off at Hollywood's world famous Key Club. 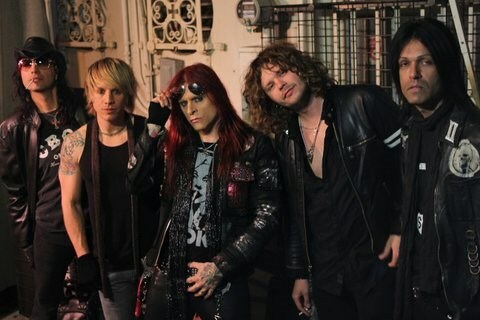 On stage, Colby was joined by none other than Rock n' Roll Hall of Fame inductees Izzy, Duff and Steven Adler, performing Guns N Roses hits to amazed fans. Celebrities were in attendance including guitar legend Slash. This show launched the beginning of a world tour for “Adler's Appetite," which brought Colby to amazing venues in South America, Mexico, and the U.S.
“Hollywood Roses” consistently pays homage to that raw power rock show that Guns n' Roses pioneered in the early 1980s. Hollywood Roses. The live show has perfected duplicating the real, honest, Rock n Roll Experience that truly stops time and teleports the audience “To the Jungle”. Guns n Roses fans of all generations are fortunate enough to get that glimpse and feel a part of an authentic Guns n Roses Experience. "It's amazing the way this young generation of rock n roll fans crave the rock n roll energy that rockers got in the early 80s on the Sunset Strip... If these kids want to really feel the electricity from those shows, they need to learn what a VHS is and get a bootleg...or go check out Hollywood Roses. Colby Veil has put together a band that has to be seen to be beleved"
Please note Hollywood Roses will also travel to Alhambra, Bell Gardens, Glendale, Huntington Park, Maywood, Monterey Park, Bell, Hollywood, Pasadena, South Pasadena, Montebello, South Gate, Burbank, Beverly Hills, Inglewood, Rosemead, San Gabriel, San Marino, Culver City, Downey, El Monte, Lynwood, Pico Rivera, Toluca Lake, Universal City, Willowbrook, Compton, La Canada, Montrose, North Hollywood.